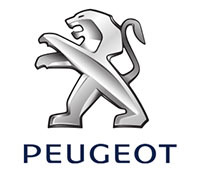 We at Eastvaal Motor City Peugeot aim to be the best Motor Dealer in all areas of responsibility by providing and achieving excellent service in our sales, parts and after sales departments to our respected customers. With our vast Peugeot model selection, well-equipped workshop and our greatly experienced staff, we can assist you in the selection of the perfect and most reliable vehicle of your preference to suit your specific wants and needs. We truly value our customers, look forward to being of excellent service to you and making a meaningful difference.